Would your Enfield home benefit from a refit? Would you like to transform the look of your home? Choose our home refurbishments Enfield service. At Firtree Building Services, we have over 20 years’ experience in the industry and pride ourselves on making our client’s ideas come to life for a cost-effective price. Whether you want to change the layout of your Enfield home or the décor needs a fresh breath of air and bringing up to date, we offer the perfect refurbishment services. The possibilities are endless at Firtree Building Services as we take care of every stage of your project. Our team will take the time to discuss your ideas so we can draw up a design that realises your dreams. We will talk you through every step of your home refurbishments Enfield project, and explain how we will make the plans a reality. At Firtree Building Services, we believe that everyone should be able to create their perfect home. To help you achieve this, we have a team of experienced carpenters, brick layers, electricians and other tradesmen who specialise in the area of Enfield home refurbishments. From knocking through walls to creating new doorways, we can undertake a single room renovation or complete entire home refurbishments in Enfield properties. No matter how big or small your home refurbishments in Enfield project might be, we will tailor our services to suit your requirements. With our Enfield home refurbishments service, you have the freedom to choose exactly how you want your property to look. Each of our refurbishments is completely unique to the customer so that it reflects your individual style. 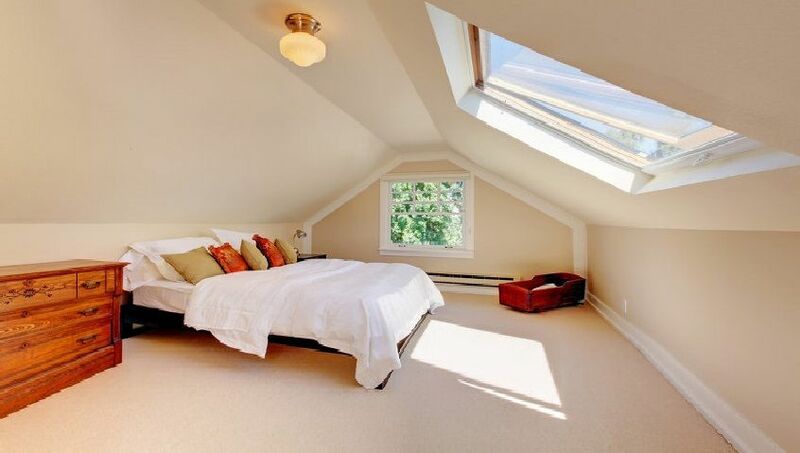 One of our most popular home refurbishments Enfield proposals is to complete a loft conversion. Not only will a loft conversion achieve extra space for you and your family, but it will also increase the value of your property. There are many potential ideas with what your new loft conversion room can be, and we can install any facilities to bring your ideas to life. Previous clients have turned their loft conversions into home theatres, music rooms, extra bedrooms for elderly relatives, and photography dark rooms. The possibilities are endless! At Firtree Building Services, we will complete the majority of loft conversions within six to seven week, so the disruption to your house will be a very short period of time. Why choose us to refurbish your Enfield home? A home refurbishments Enfield venture is a far more cost-effective way of getting what you want from a property without having to move house. Our Firtree Building Services team are also very happy to work alongside other Enfield home refurbishments construction companies. If you have hired an architect or specialist interior design to oversee the project but would like to employ our team of builders and renovators to execute the work, this is entirely possible. At our refurbishment company, we are conscious of working in a way that causes the least amount of disruption to your home life as possible. Our Enfield team always stick to strict deadlines to guarantee that your newly refurbished home is finished on time. Previous clients will be happy to reassure you of our excellent standard of workmanship and the first class customer service we provide. If you have any questions regarding our home refurbishments in Enfield service, do not hesitate to get in touch with our friendly team. We are always ready to offer our expert advice and help you make the most of your budget. If you would like to see some of our previous Enfield home refurbishments, take a look at our gallery. So when you want the most creative and cost-effective home refurbishments Enfield company, choose Firtree Building Services. To find out more about our home refurbishments in Enfield services, call Firtree Building Services on 07957 574 604 or send an email to info@firtreebuild.co.uk.